Creative, marketing agency Cleveland providing both traditional and digital marketing including affordable SEO, SMM, branding/logo design, web development, ecommerce development, catalogs, ads, brochure design, digital marketing campaigns and more. Overnight design service / same-day service available for emergency design. Our marketing agency developed all the visual components for VRRage. 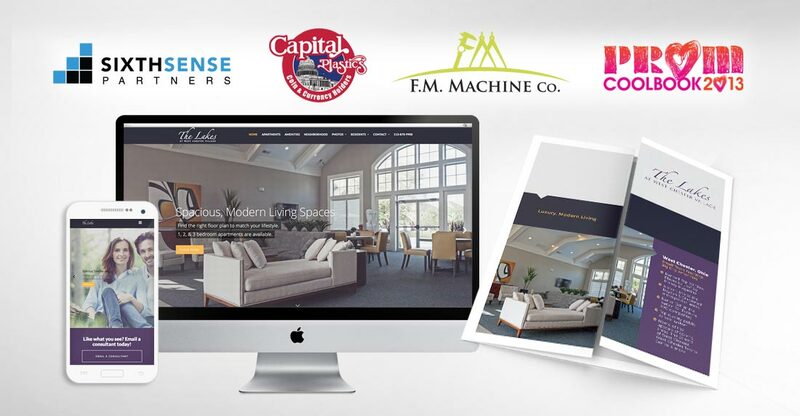 This included store interior design, web design, signs, logo design, banners, vehicle wraps, brochure design, ad design, flyer design, window graphics and more. If you’re looking to hire the best marketing agency and creative talent in the Clevelad area, talk to ADVAN. ADVAN Design is a local, Cleveland marketing agency with both versatility and expertise. We creativity help clients develop unique strategies, concepts, and tactics to deliver superior marketing results. Many of our clients employ us as a third-party that attends marketing strategy meetings. We bring unique, creative ideas. For our other clients, our team executes the entire marketing strategy, developing web, print, packaging, POP, tradeshow, email blasts, PR and SEO/SEM. This helps our clients reach the top of search engines on proper key phrases and maintain that spot. With ADVAN Design’s expertise, you can significantly improve your marketing results. ADVAN Design’s specialty as a Cleveland-based marketing agency is small to mid-sized businesses in the Cleveland/Akron area. We focus on helping our clients generate leads, enter new markets, and significantly increase their customer base. When working with ADVAN Design, companies benefit from the expertise and resources of a local marketing agency that utilizes a wide variety of strategies and mediums to create the most effective marketing campaign. We offer graphic design for all mediums and industries from tradeshows to trade advertising. ADVAN Design is an experienced agency that can help greatly expand your marketing influence. We have a small office with low overhead, thus we are able to offer freelancer rates for advertising agency level work. We’re the best choice if you’re searching for a marketing agency Akron.